In December of 2016 I bought a Super Famicom and a pile of classic games. This month I finally got around to playing Chrono Trigger, but was unpleasantly surprised when my saves disappeared after I turned my machine off. SFC games use an early form of flash memory that requires a power source, so they include a CR2032 battery. The amount of power used is small enough the batteries last years and years, but they do eventually die and need replacing. 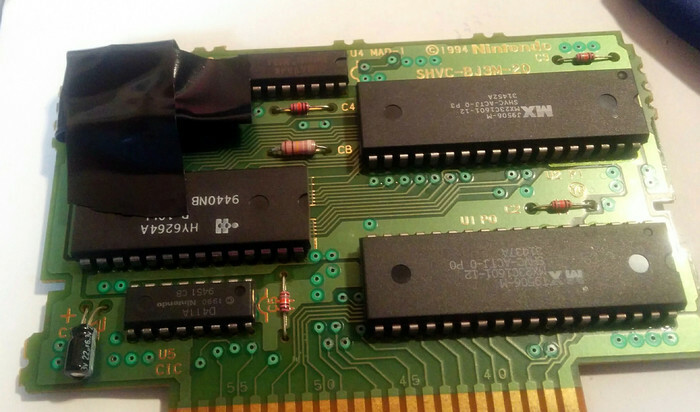 A guide to replacing SNES save batteries from Motherboard covers most of the details; SFC and SNES games are basically the same on the inside. One tip not in the Vice article was to use a pair of nippers to separate the contacts. The old battery in place. I was a little surprised to see the battery in my copy of Chrono Trigger was a Sony one - it's easy to forget the game is old enough to be pre-Playstation. 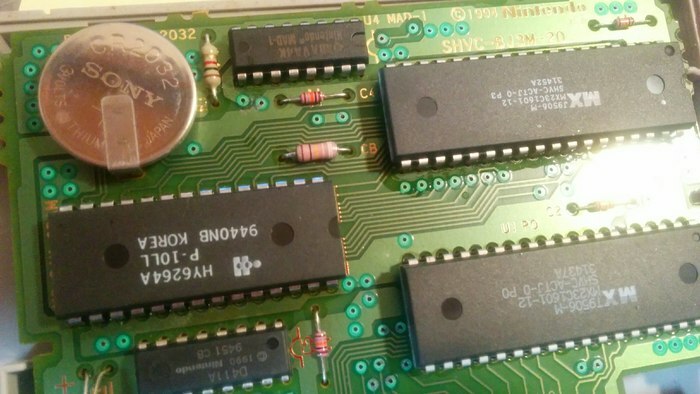 One problem I had is that unlike all the pictures of save battery contacts I could find online, the ones in my cartridge didn't have a center depression. Without raised edges, getting nippers or a blade under to even begin sawing away was time consuming. I didn't find any great solution to this, I just had to keep at it. After removing the old battery the contacts were in a sorry state, but even so a little electrical tape was enough to hold the new battery in place, and saving worked on the first try.